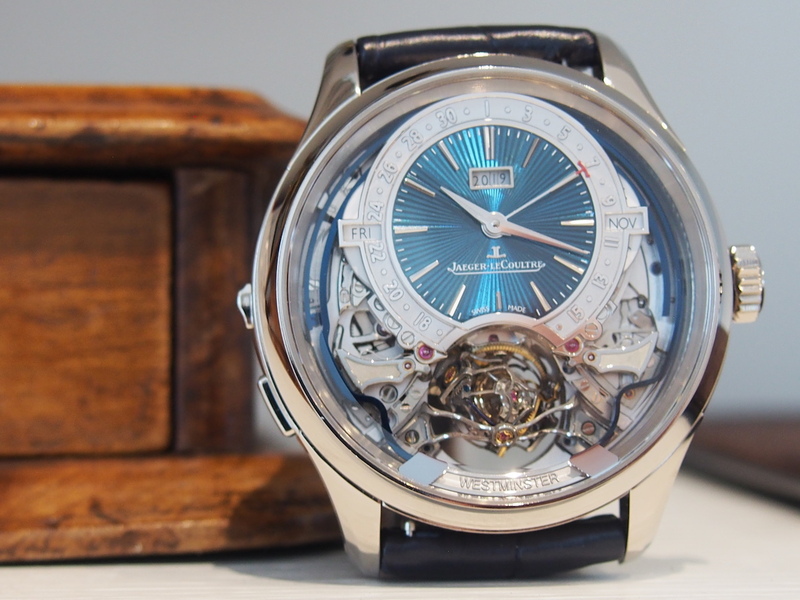 Back in January when the SIHH took place, the Jaeger-LeCoutlre Master Grande Gyrotourbillon Westminster Perpetuel watch was top on everybody’s list of best watches from the show. Critics weren’t wrong. They were, however, early. Showing off this watch at its launch is great, however the complex timepiece is only just starting to make its way to markets around the world, with just a few pieces becoming available this summer and fall. For that reason, we held off on our review. Here, we bring you a hands-on look at the watch. 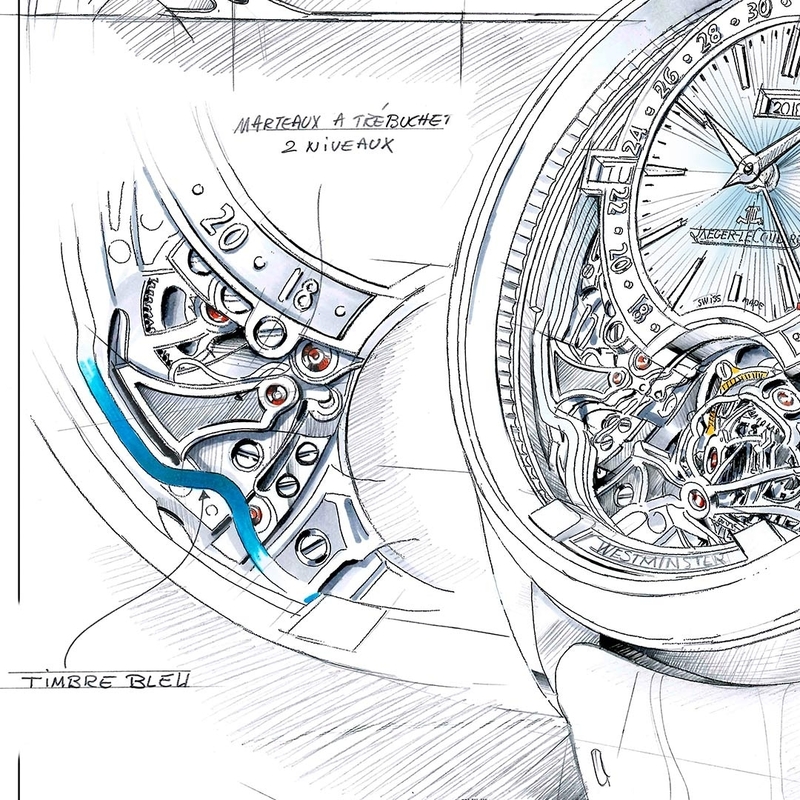 To begin with, I need to preface the article with the fact that I remember when the very first Master Gyrotourbillon 1 was unveiled to the world 15 years ago in 2004. At the time, it was revolutionary. Very few other brands had ever experimented with the concept of a gyrotourbillon — a constantly rotating multi-axis tourbillon that could compensate for errors in timekeeping due to the effects of gravity in all positions on the wrist. Since then, the brand released new models in 2008, 2013 and again in 2016. This new model, though, is impressive for a host of reasons. To begin with, it is smaller and more compact than its siblings. This reduction of size was a huge undertaking for the brand, one that took nearly three years to accomplish. In this version, too, there is a reduction in error tolerances, another side-effect of the size reduction. Additionally, this version has a Westminster chime (with four-phrase sounds emulating Big Ben) incorporated into it, which is also smaller in size and that uses four sets of gongs and hammers. 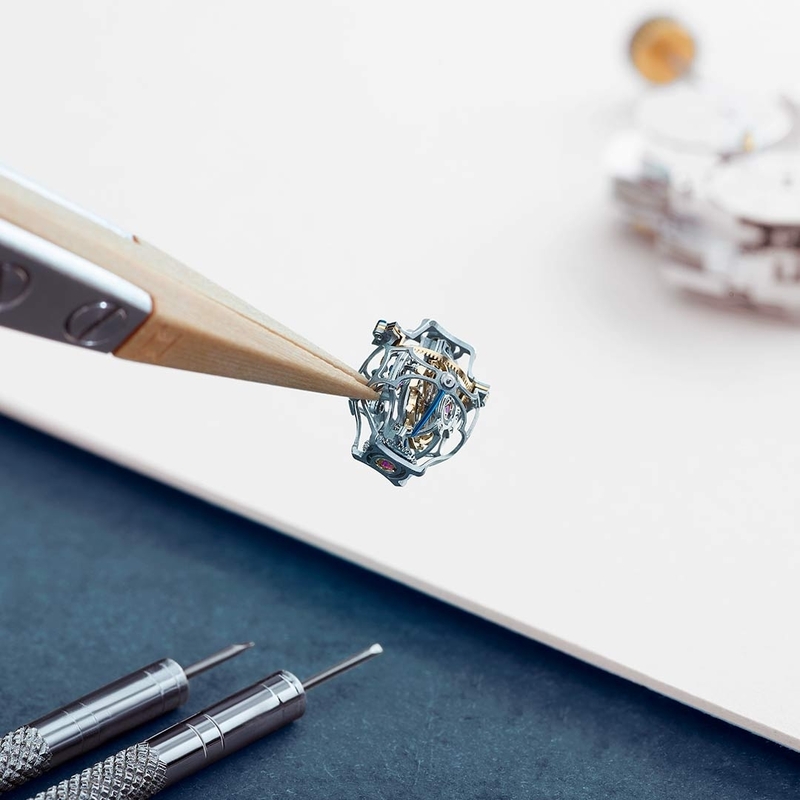 To ensure precision, the watch is equipped with a one-minute constant-force mechanism so that there is a consistent level of power provided to the tourbillon. 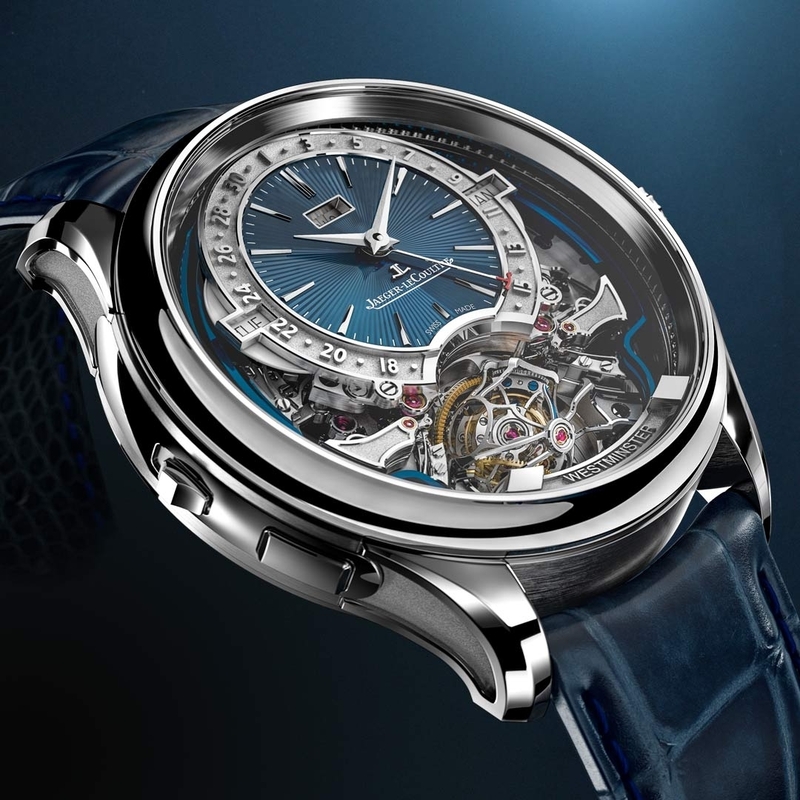 It also regulates the motion of the minute wheel – creating a beautiful jumping minutes motion that allows for more precise setting of the time. Going another step forward, the watch is equipped with a perpetual calendar that displays the correct date taking into account leap years. In total, the mechanism, Caliber 184, consists of 1050 individual components. It is an exceptional work of horology and craftsmanship, with each component finely finished to exacting details. The watch case features a retractable minute repeater pusher. 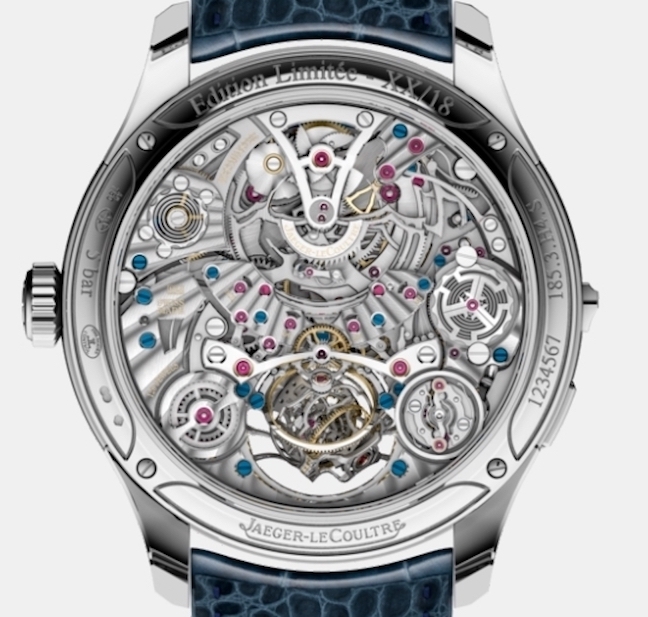 The smaller dial located on the top portion of the openworked face is offered in either blue grand feat enamel or in a silver grained version. Production is limited by the sheer amount of time it takes to produce a single watch. It retails for about $805,000. The movement of the watch consists of 1050 parts.